Guo Weimin, deputy director of the State Council Information Office of China, delivered a keynote speech at the China-Germany media dialogue in Berlin on Monday. 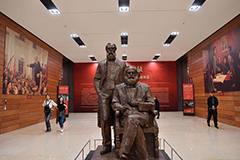 The National Museum of China on Saturday opened an exhibition to mark the 200th anniversary of Karl Marx's birth. 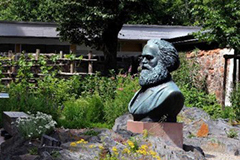 A China-donated statue of German philosopher Karl Marx was unveiled in his hometown Trier Saturday on the 200th anniversary of his birth. To mark the 200th anniversary of the birth of Karl Marx, China's state broadcaster and major streaming sites debuted a two-episode documentary "Immortal Marx" on May 3. 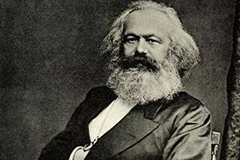 Three books commemorating the 200th anniversary of Karl Marx's birth have been published, according to a workshop Thursday. A selection of works on Marxism published in China in the 1920s were reintroduced to Chinese readers on Wednesday by a Chinese publishing house to mark the 200th anniversary of the birth of Karl Marx. Ahead of the International Workers' Day, the Publicity Department of the Communist Party of China Central Committee and the All-China Federation of Trade Unions announced the exemplary deeds of role model workers on April 25. Guo Weimin, vice minister of the State Council Information Office of China, attended the China-CEEC Spokespersons' Dialogue in Budapest on Tuesday. ​China published a report on the United States' human rights situation on Tuesday. The report, titled "Human Rights Record of the United States in 2017," was released by the State Council Information Office of China. China on Tuesday published a report on the United States' human rights situation. 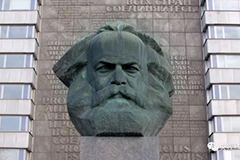 China on Thursday published a dictionary on Marxism to mark the 200th anniversary of the birth of Karl Marx. 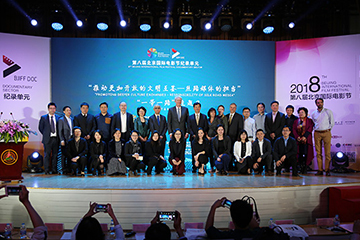 A seminar themed on responsibility of Silk Road media was held in Beijing on April 17, when the Belt and Road Media Cooperation Union celebrates its two-year anniversary. Lyu Jianjiang, a police officer from Hebei province who died on duty to a sudden heart failure, was posthumously awarded the title of "Role Model of the Time" on April 17. Guo Weimin, vice minister of the State Council Information Office of China, met with a delegation led by John Micklethwait, editor-in-chief of Bloomberg News, in Beijing on April 13. 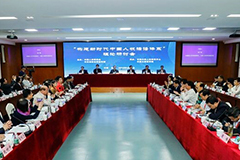 Guo Weimin, vice minister of the State Council Information Office of China, attends a seminar on the creation of China's human rights discourse in the new era held in Changsha on April 12. A seminar on the creation of China's human rights discourse in the new era was held in Changsha, Hunan province, on April 12. Jiang Jianguo delivered a speech during a seminar with the theme of "China in the New Era" in London on April 11. Jiang Jianguo delivered a speech at the launch of the multilingual versions of the second volume of "Xi Jinping: The Governance of China" in London on Wednesday. ​The National Voluntary Service Conference was held in Beijing on April 3 by the Publicity Department of the Communist Party of China (CPC) Central Committee and the Central Commission for Guiding Cultural and Ethical Progress. ​"China Wild," a feature documentary on nature, is set to debut on China's state broadcaster and major streaming site on April 2. A short film competition on socialist core values was launched on April 1. 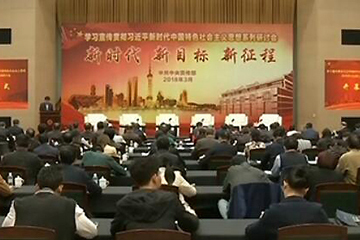 The second seminar on studying, publicizing and implementing Xi Jinping Thought on Socialism with Chinese Characteristics for a New Era was held from March 30 to 31 in Shanghai. The late Zhong Yang, a professor and doctoral supervisor at Fudan University, was named a "Role Model of the Time" by the Publicity Department of the CPC Central Committee on March 29. Jiang Jianguo met with Stephen A. Orlins, president of the National Committee on U.S.-China Relations, in Beijing on March 27. 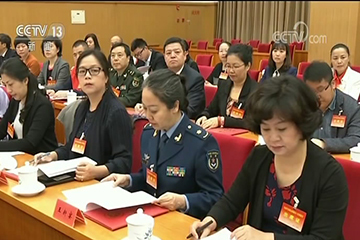 Wang Xiaohui, executive vice head of the Publicity Department of the CPC Central Committee, spoke during a panel discussion on studying, publicizing and implementing the Constitution on March 27. Guo Weimin, vice minister of the State Council Information Office of China, met with a delegation led by Martin Sorrell, CEO of WPP, in Beijing on March 26. Jiang Jianguo met with a delegation headed by Robert Lawrence Kuhn, chairman of the Kuhn Foundation, in Beijing on March 12. 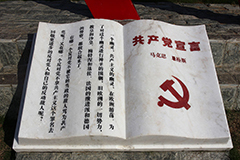 Published by the Publicity Department of the Communist Party of China, a new book introducing the guiding principles of the 19th CPC National Congress has gone down well with Chinese audiences. A national campaign has been launched against online videos that use iconic cartoon characters in sexual and violent situations, authorities said on Monday. The Publicity Department of the Communist Party of China Central Committee, the General Office of the Central Commission for Guiding Cultural and Ethical Progress, and the State Administration of Press, Publication, Radio, Film and Television recently donated 300,000 television sets to households in poverty in 22 provinces, autonomous regions and municipalities across the country.